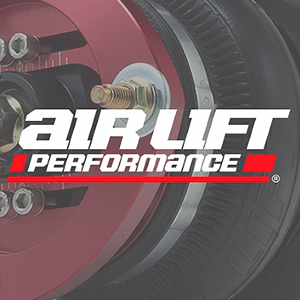 Sometimes, as car enthusiasts, we fail to notice the world outside of our typical day-to-day lives. It’s easy to get trapped in a loop of instagram accounts, blog pages, and forums that are tailored to the specific vehicle, style, and demographic that you are accustomed to. Much like politics as an example, it’s very easy for us to get trapped in the same circle of opinion, while completely missing other points of view. Not only does this type of thinking greatly reduce the creativity that can be had when building your own car. But, it also means that you can easily miss some amazing builds that fall just outside of what you may consider the norm. Gangwei Zheng’s stunning W222 S400 is exactly the type of car I’m referring to. First off, since it’s from China, unless you’re really scratching the depths of the Internet, there’s a solid chance that you would never stumble across it in the daily automotive scrolling that we all do while pretending to be productive at work. Even if you do frequent accounts that have Chinese cars, there’s a good chance that the VIP page you follow may not have even posted this because it’s a euro car with some very obvious euro style. Oh, you follow some euro car pages as well? They probably passed on it because of the obvious VIP style of the car. Such is the way it goes. 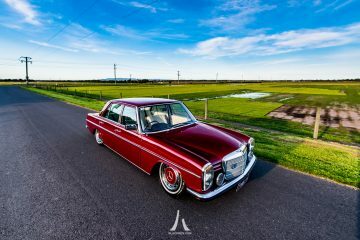 But, if we can step back and be open minded here; truly see the art behind the build, I think anyone can appreciate just how well done this Mercedes is. You’ll have to bear with me a bit on the specs for this one, as the details get a little muddy through translation. In fact, there was little information available on what’s actually going on with the exterior. I can tell you with certainty that the arches and widebody are some seriously beautiful custom metal work. 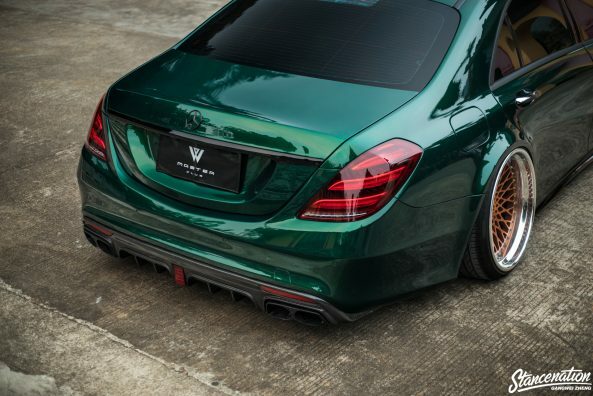 That green color steals the show right away, just flashy enough to catch the eye, but not so much as to draw away from the overall appeal of the car. It’s almost got a hue that reminds me of a super high-end luxury car; think Rolls Royce, Bentley, or Maybach perhaps? Ironically enough, Mercedes did use the W222 chassis to make a new Maybach in 2015. 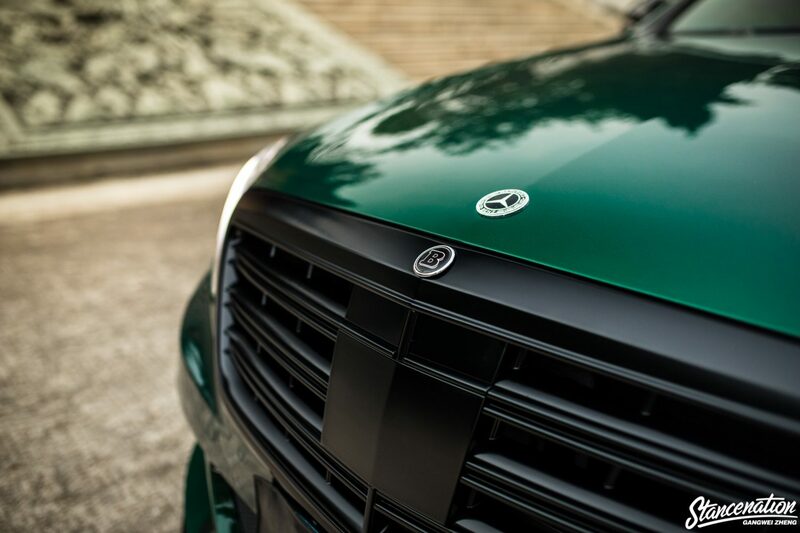 So, maybe it is a Maybach color after all, Emerald Green Metallic sure looks close to me. 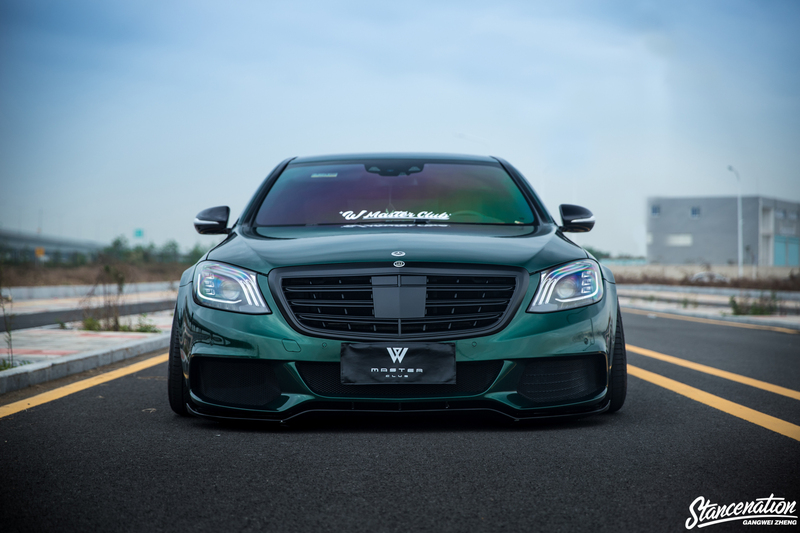 After a bit of research, it’s obvious that Gangwei did use the ultra luxury Maybach name to his advantage, opting for what appears to be the Maybach specific Brabus 900 front bumper. 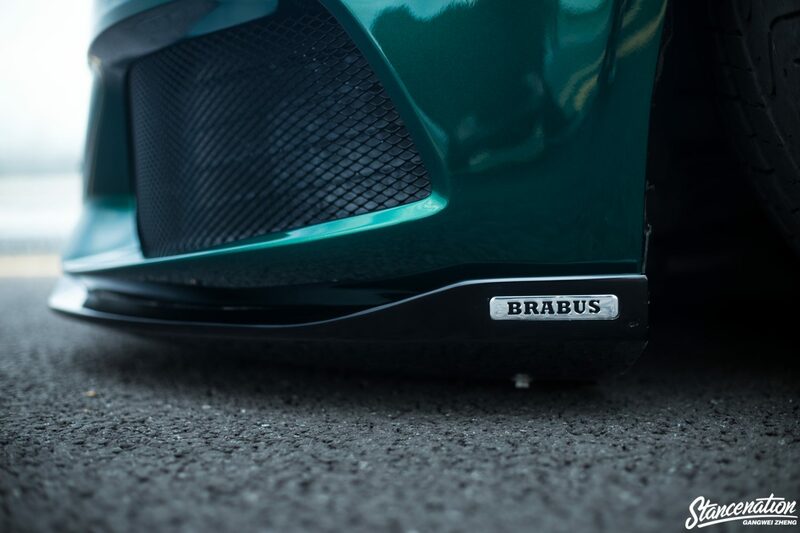 The sideskirts and rear bumper also appear to be Brabus pieces; although they look to be sourced from the S65 AMG based Rocket 900 instead of the Maybach. 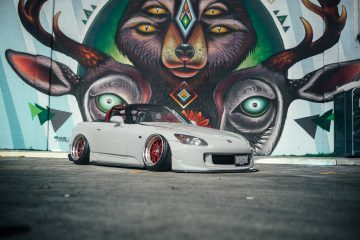 All in all, the body modifications sum up to a beautifully subtle look. As you scroll through the pictures, little details seem to pop up without strain. 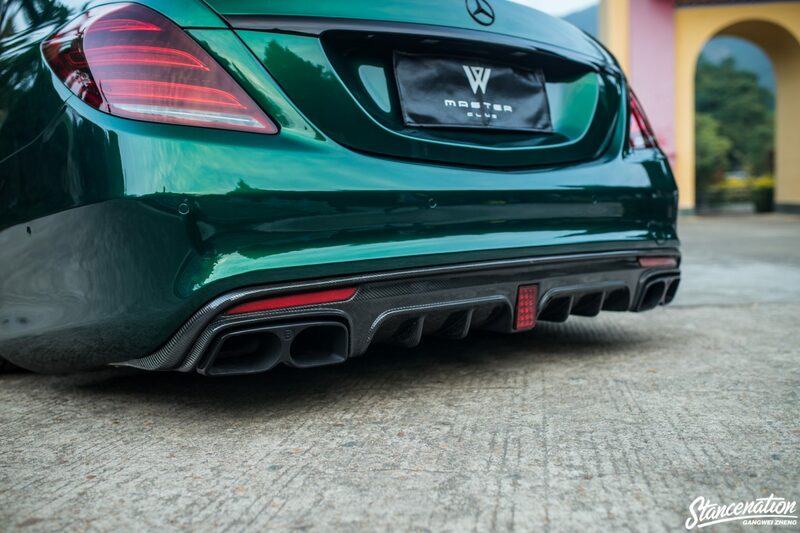 The blacked out Brabus grille perfectly flows with the black emblems. Black window trim and black mirrors perfectly blend in with the dark window tint. Nothing looks out of place and everything goes together like it’s supposed to be that way. 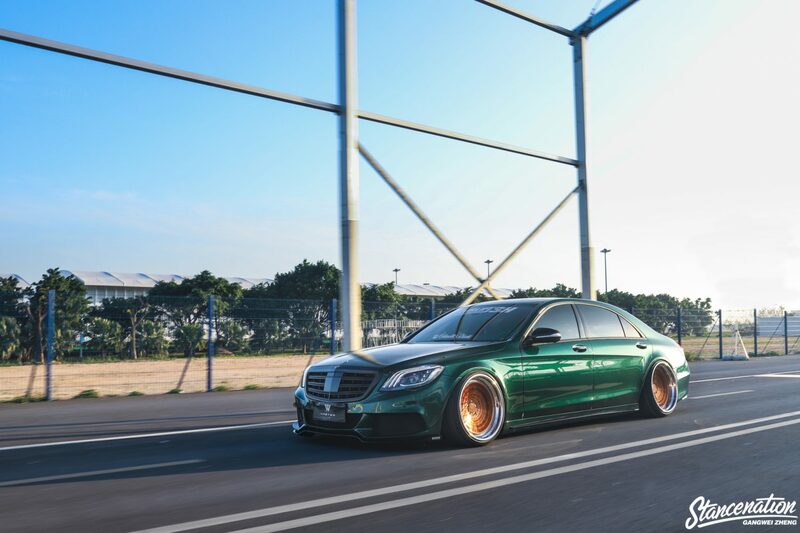 One of the major points that are distinguishable from that translated information was the struggle that Gangwei had in finding the proper suspension to get the big S class sitting the way that he wanted. 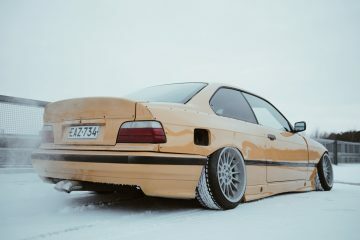 Air suspension was the obvious choice, but there were no bolt on kits available in China at the time. 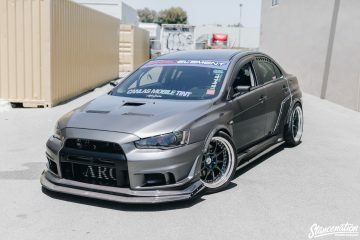 After learning that someone was developing a kit in Japan that was not available yet, they got to work on a completely custom air ride kit for this car. It took about six months to get dialed in. But, the results appear to be completely worth it. The car sits perfectly flat when aired down, and he’s obviously not afraid to drive it low, as proven by the rolling shots we have here. The custom bodywork and air suspension are some serious pieces to the puzzle here, another detail that just looks so perfectly right for the build. 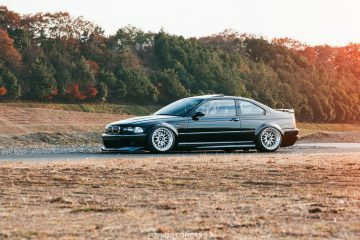 They’re a perfect way to showcase those beautiful Rotiform LHR wheels. Finished in a bright polished copper that is perfectly suited to go with the green paint of the car. No specs available, though some detective work and zooming in tells me that they’re 21’s. 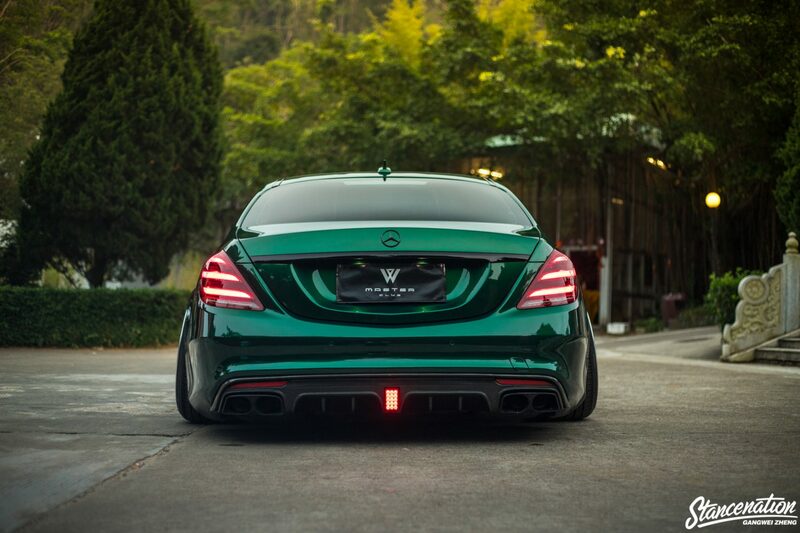 The bold faces, slant lips and seemingly square fitment are spot on for the car. Just the right amount of tire stretch and radius work on the fenders makes for a beautiful transition from body, to tire, to the wheel lip. This being a key detail, that for me, really puts this car on the top level of fit and finish. Perfect transitions seem to be a recurring theme here. When you start to dive into the details you notice that the aforementioned black accent pieces effortlessly flow with the car. There are just enough emblems left to break things up without becoming too busy. 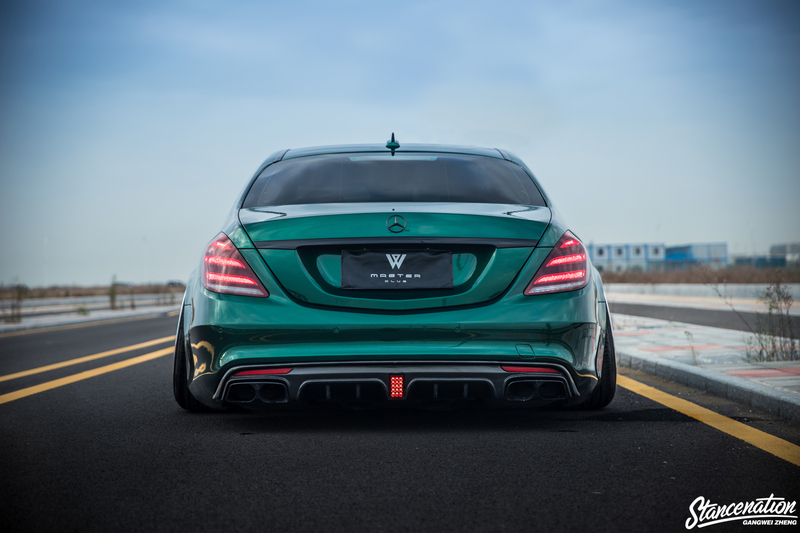 The marriage of different Brabus parts has given way to a fresh look, while remaining congruent with the overall theme. That’s a tough trick to pull off, especially when given the small amount of parts that are available for this car. Maybe I was a little far out in left field with the comparison to politics at the beginning there. I think what I’m trying to get at is that it’s very easy to unknowingly become part of an echo chamber in life. Where your inner circle all likes the same things, so you stay in the comfort zone and don’t easily move along to new ideas. 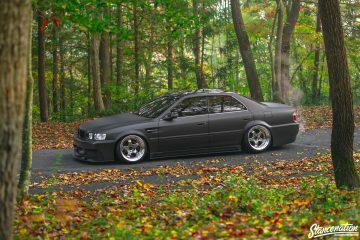 This car is something that anyone should be able to appreciate, no matter what part of car culture that they lay claim to. Even though my info was chopped up and obviously through some mixed translation that ends up makes things a little unclear, it’s easy to pick through the details on what really makes the car stand out. There are details like the wheels, for example, that just work so well. That’s a detail that doesn’t just happen on accident. 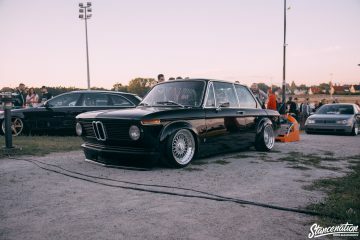 Someone did the proper research and followed the steps to make sure the fitment is perfect both for the car itself and the style that they were trying to accomplish with the build. That’s something that isn’t specific to the US, Japan, China, or anywhere. 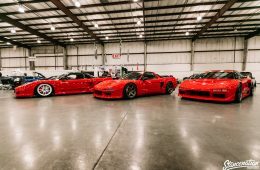 Even though some people reading this article may appreciate this style more than say, a reader of Hot Rod magazine, I think it’s safe to assume that super clean builds like this are exactly the type that can transcend the appropriate “scene” and acquire praise from nearly any true car person. 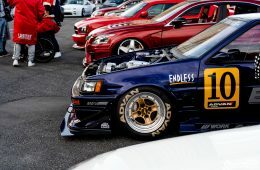 Previous ArticleStanceNation NorCal 2019 Photo Coverage // Part 2. 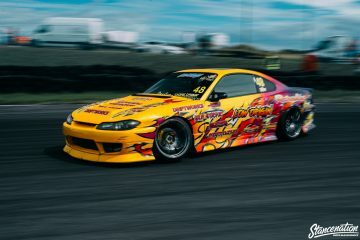 Next Level Drift Event 2018 // Photo Coverage. WRECKIN’ Meet Vol 7 // Photo Coverage. Raceism 2018 Photo Coverage // Part 2. Bilsport & Performance Custom Motor Show 2018 // Photo Coverage. Inneres Blumenpflücken 2017 // Photo Coverage.